in the admin panel dashboard. This was working fine months ago. It looks like maybe that user is just a Subscriber on that particular site, rather than being an Admin. Do you have any user role plugins in place on your site? 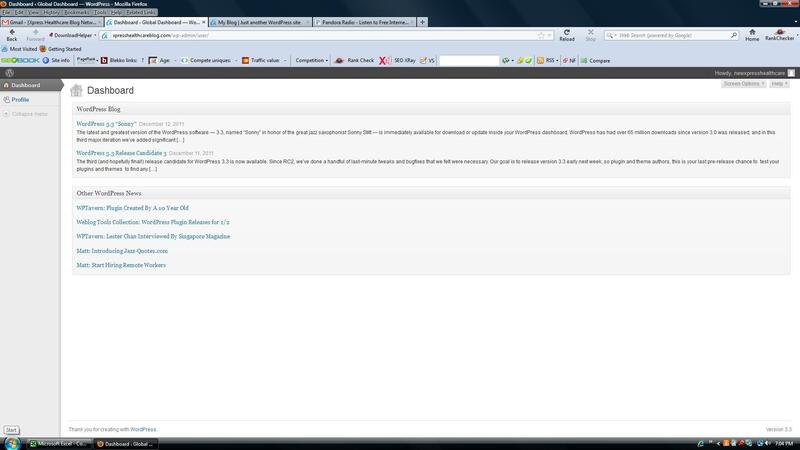 Also, I couldn't really tell from the screenshot if that's a Single or Multisite WordPress setup. Is that a Multisite? If it's a Multisite, you may just need to be sure you don't have any plugins activated that would keep the users creating new sites from being Admin of the sites. Have you looked into that? Thank you for your quick reply. I have no idea what just changed, but I just deactivated a couple plugins I wasn't sure about, and registered a new user, and it works.